All edited photos from your session will be placed into an online gallery where you can view the photos, share with friends and family as well as order prints directly from your site. You will also receive a complimentary 8x10 Mat-board photo of your choice from the session. A digital download of your edited gallery photos is included with this session and will be emailed to you directly after your photos are posted. All session info from above is included in this package. Also included is a custom designed 5x7 keepsake photo book using pictures from babies session. Parents may have input as to what photos and wording they would like included in the book. All photo session information and duration is the same as the package 1. * Travel fee of $25 is added to any session that is 25 miles outside of Boone. * In order to book a session I will need your name and due date to put on my calendar. 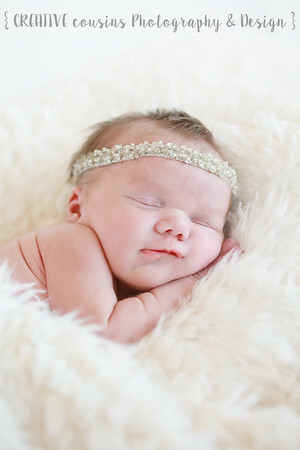 Baby photos are best to be done within 14 days of birth. * No deposit is required to book your session. Payment for session is due in full on date of session. * Accepted forms of payment are cash, check, Visa, MasterCard or Discover. * Gift certificates are available to purchase for any dollar amount and make a great gift for any parents to be! This is a session designed for 1 child only and may be done at anytime you are thinking is a fun milestone to capture. Most popular is in babies first year at 3, 6, 9 & 12 months or some parents choose to do a session when they hit a new milestone such as smiling a lot or sitting up or just as they are beginning to walk. This session may also be used for older children at any point such as for their birthday year photos. A Maternity session would also fall into this category. If using for a maternity session it is intended for mother and father only. If you are interested in having siblings in the maternity session it would then fall into the "family session" see pricing below. You may choose 1 location for the session either outdoors or indoors if weather isn't good. Or when photographing babies I have an area in my home that I use for this type of session. The session will last approximately 30-45 minutes. With this session your edited photos will be placed in an online gallery for you to view and share with friends and family. Print orders may also be placed directly thru your gallery. Included with this package is an 8x10 Mat-board print from the session of your choice as well as the digital download of all the images in your gallery. * $25 travel fee for any session location that is more than 25 miles from Boone, IA. * No deposit required to book your session. Payment for session is due in full on date of session. * Gift Certificates are available to purchase in any dollar amount. Please email or call to purchase one. Session includes 45 minutes of photography for up to 6 people at 1 location of your choice. If you don't have any favorite spots in mind, no worries, there are lots of favorites we have found over the years! For larger or extended families there is a $35 upcharge for families over the size of 6 people. All your edited photos will be placed into an online gallery for viewing and sharing. You may also purchase prints directly from the site. A digital download of your gallery photos may be purchased at anytime for $150. This may be done online or by emailing the photographer to get the link. All photo session details will be the same as above package 1. Included in this package are a custom designed 8x8 photo book with lay flat pages. Clients will be included in the design process as each book is laid out and designed specifically to coordinate with your photos and decor. Book will include 10 pages. Additional pages may be added for $20/page. These books make an amazing keepsake of your session that everyone in the family will enjoy looking at for many years to come! They are one of our most favorite products that we get to do for clients! Included in this package is the clients choice of any of our 8 pre-set canvas gallery wrap groupings. Please inquire regarding grouping layouts, all the groupings are also listed on our website under the product guide tab. Clients will get to choose the grouping of their choice as well as the photos to be used. Session price which includes the grouping is discounted as compared to purchasing the session and grouping separately. Photography & Design for Business: billed at a rate of $35/hour of work. This type of photography is a great option for business's who are needing group shots, individual head shots or has also been a nice option for real estate photos. Design services are also offered for business cards or logos. Design work may or may not include photos. Minimum of 1 hour for this type of work and billing is done per hour. May not be broken down into smaller increments. $25 travel fee for photography that is done farther than 30 miles from Boone, IA. Services are subject to a sales tax rate of 7% unless your organization is tax exempt. Payment for services is due upon completion of work. This package includes 1 - 1.5 hours of photography in 1 - 2 locations of your choice. This package is a simple package perfect for those wanting some lovely photos to commemorate their senior year but also doesn't want the fuss of many outfit changes and lots of poses. Simple & Fun! All your edited photos will be in an online gallery where you can view, share and order from. A bound proof book of all your gallery photos will also be included. This package includes 2 - 2.5 hours of photography in 2 -3 locations of your choice. This package is geared a little more towards those wanting a little longer coverage or that know they want multiple different looks & outfits for their session. All edited photos will be in an online gallery for you to view, share and order from. You will also receive a bound proof book of all your gallery photos. A 16x20 mat-board print with the photo of your choice will also be included. For this package you will get 3 hours of photography in 3 - 4 locations. For those wanting it all with their session this will ensure that we have plenty of time to do so! All of your edited images will be in an online gallery for you to view, share and order from. A bound proof book of your photos is included. Also you will receive a package of 100 custom designed graduation invitations, (3) 5x7 prints and (1) 11x14 print. Additional packages of invitations may be purchased in packs of (25) for $45/pack. * A digital download of your gallery may be purchased with any senior package for $300. A digital download is an emailed link with high resolution photos from your gallery. * All your gallery photos on a custom USB flash drive with your name engraved on it may be purchased for $350.00. The USB comes in a custom photo wooden box. * A sports photo add on to any package is $75. These will be specialized photos showcasing the sport or activity you love. These are good to do at a location relevant to the sport, but our creativity likes to think outside the box as well for these to ensure that you receive unique photos different from the yearly sports photo at your school. * Seasonal photo session add - on is $75. If you love all of Iowa's seasons and enjoy all the beauty that goes with it this is perfect for you! With this you may choose to have 1/2 hour of additional photography to your package in another season. The edited photos will be added to your gallery. * No deposit required to book your session. Payment is due in full on session date. Perfect Package for small or second weddings. This package will give you all the wonderful things you will want with your wedding photography at a great price for any budget! You will receive 4 hours of wedding coverage with 1 photographer. Time frame may not be broken up. An engagement session or if it is a second marriage we may include children in these photos if that's the case. You will have at the finish 200-400 high resolution images in an online gallery of your big day to view, share and order prints from. You will also get to choose a wedding photo to have printed on a 16 x 24 Canvas Gallery Wrap. A package of 50 custom save - the - date's or custom thank you cards will be included. Clients will choose the photos to be included and wording, we design the rest. Option to purchase a custom flash drive with all your wedding photos from your gallery may be done at anytime for a cost of $275. This package includes 6 hours of wedding coverage with 1 photographer. Time frame may not be broken up. 300-500 high resolution images will be in a online gallery for you to view, share and order prints from. Included are an engagement session, a Canvas Gallery Wrap Grouping using the wedding photos of your choice, to include (3) 16x24 Canvases, as well as 100 custom save-the-dates or custom thank you cards. Option to purchase a custom flash drive of your wedding gallery photos may be done at anytime for a cost of $325. This package has 8 hours of wedding coverage with 1 photographer. In this span it will allow plenty of time to capture your day from the beginning thru your first dance at the reception. Approximately 400-600 high resolution images will be placed in an online gallery for you to view photos, share and order prints from. Also included are an engagement session, 100 custom save-the-date cards or 100 thank you cards and a Canvas Gallery Wrap Grouping that will include (1) 20x30 Canvas & (4) 11x14 Canvases. Option to purchase a custom flash drive of all your wedding gallery photos may be purchased at anytime for a cost of $375. For those brides that love everything about wedding photography, these next two packages are for you! With 2 photographers you will have not only spectacular wedding photos you will have perspective from your day to look back on captured from 2 photographers! Have you ever wondered what those guys are doing while you are sitting back sipping champagne and getting beautiful........we will have the coverage! In this package you will receive 8 hours of wedding coverage with 2 photographers. An engagement session to be done at your choice of location/time. Approximately 400 - 600 high resolution images will be placed into an online gallery for you to view, share and order prints from. You will receive 100 custom save-the-dates or custom thank you cards, the choice of any Canvas Gallery Wrap Grouping we offer, you will get to choose the wedding/engagement photos to be used. Please inquire with us regarding the 8 layouts we currently offer. What a fun way to fill your walls in your home as you start your new life together! The option to purchase your wedding gallery photos on a custom flash drive may be done at any point before or after the wedding at a cost of $450. If you love keepsakes this package is for you! You will receive 8 hours of wedding coverage with 2 photographers documenting your special day! An engagement session will also be done at any point during your engagement that you choose. Approximately 400-600 high resolution images will be in an online gallery for you to view, share and order prints from. Included in this package are 100 custom save-the-date cards or 100 thank you cards, a custom 10 page keepsake album documenting your day, as well as the custom flash drive with your wedding gallery photos. Option to purchase additional cards may be done at $45/pack of 25. Additional pages may also be added to your album for $25/additional page. We will work with you though on your custom design and theme of both your cards and album. A proof of any product will be shown to client before any order is placed. * A $250 non-refundable deposit is required to hold any date for a wedding package. * A second deposit of $250 is required at the time of your engagement session. * Payment of your remaining wedding balance is due on or before your wedding date. * Accepted forms of payment are cash, check or Visa, MasterCard or Discover. * Please inquire to photographers about available dates for 1 or 2 photographers. You have your lovely photos from any session.......now what? As you will see there is an option to purchase professional prints directly thru your gallery. This is a simple way to order and have prints sent directly to your home. We also offer an extensive selection of photo products and custom print sizes. There is too much to post all on this site as we don't want you to get overwhelmed with the decision. We have demo's of most products and sizes available in our home offices for you to view. We love the idea of customizing your order to fit the needs of your home and decor style, so please do not hesitate to ask. This is the icing on the cake for us! You have beautiful memories......now lets do something with them! Current Products offered are: prints, mat-board prints, canvas gallery wraps, framed canvas, custom framing, wood prints, metal prints, image blocks, image cubes, standout prints, float wraps and books & albums with lay flat pages, custom cards including invitations, thank you notes, personalized stationary and save-the-dates.